Join Prime.You can cancel anytime. Comment: Available to both Prime and Non-prime members. Small cosmetic imperfections on sides of the item. Small cosmetic imperfection on bottom or back of item. Missing assembly tools (wrenches/screw drivers). 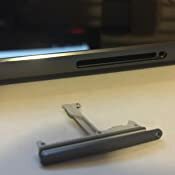 Missing earbud cover. Missing earphones. Missing manual. Item will come in original packaging. Packaging will be damaged. 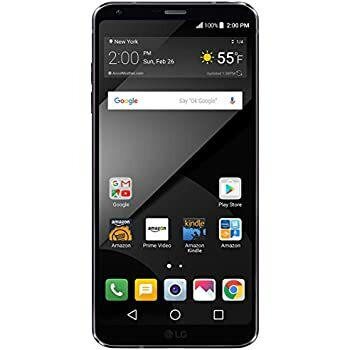 The LG G6+ packs a 5.7" display in an attractive sleek phone that comfortably fits in one hand. A 3,300 mAh battery and Qualcomm Snapdragon 821 quad-core processor offer lasting power—plus refuel fast with Quick Charge 3.0. 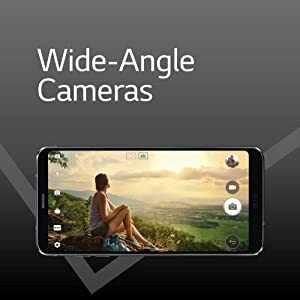 The wide-angle capabilities of the rear and front cameras allow you to capture photos and videos with a wider perspective—for more friends or more inclusive scenic shots. 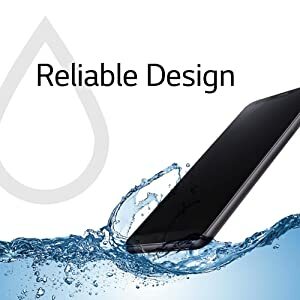 * Tested under controlled laboratory conditions with a rating of IP68 under IEC standard 60529 (Water resistant up to 1.5 meter for 30 minutes). Do not charge the device when wet or after having been exposed to moisture. 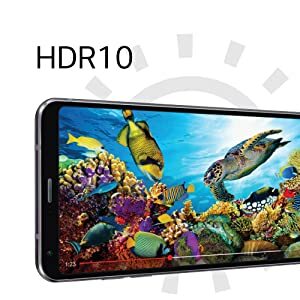 The 18:9 aspect ratio, QHD+ resolution, and Dolby Vision/HDR10 allows for superior picture quality and a more authentic cinematic viewing experience. Enjoy a free second year of limited warranty coverage and get a replacement phone quickly. I got this phone two days ago, and as advertised, the ads are not present anymore. It came with some bloatware, but they weren't like what the big carriers dump on you, as nothing stands out as a battery hog. It is slightly faster than the Samsung S7, and has a big screen like the S8, which makes it very pleasant to use. I liked the interface once I activated the app drawer to help organize them. It may not be as modern as the new Samsung's, but for the price it is a steal. If it has any downsides, I would say it isn't as frugal on the battery as amoled screens are, and the screen can't quite touch the contrast of the amoled's either. However, it offers extremely pleasing color tones and has plenty of pop without over-saturation. Very nice phone indeed. I have had the phone for almost a week now, and it has become one of my favorites already. Some reviews will tell you that the processor is old, and can't keep up with the the snapdragon 935 in the S8. That is pure bunk. In real life the difference is in seconds, and blinks, and is totally a non-issue. Watch many of the Youtube videos that compare the two, and you will see what I mean. They boot within 2 seconds of each other, and basic apps are a draw most the time. Before the G6, I had a Samsung 7, but it didn't get great reception in my area for whatever reason (I tried both the standard and the edge - same results), and this G6 has a strong, fluid like signal. I never just goes away, and is very predictable, and reliable. The screen is also noteworthy on the LG. I actually prefer it over the Samsung. The Samsung looks fantastic, but it is eye candy, and over-saturates colors badly. People I show the G6 to, love the bright natural colors on it - Gorgeous screen! It even has HDR, and Dolby vision to enhance movies that contain it. The Samsung does not have that. If there is a negative, albeit a slight one, the battery life isn't quite as good due to the older processor, and screen type. However, I get through the whole day, and right now I am playing a lot with it, and stream lots of video to watch, and show people it's ability. On a last note, I want to reiterate that the Amazon ads have been removed from the lock screen. No more ugly lock screen to remind you you got a discount on a great phone, with 128GB storage, and Hi Fi 32 bit DAC as a bonus over the regular model. 5.0 out of 5 starsFor the photography enthusiast audiophile not interested in a large phone, there is no other choice. 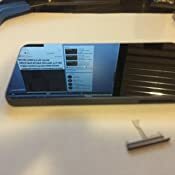 LG phones are always well-specced while being practical. I used a G2 for years and loved the battery's reliability and the phone's durability. 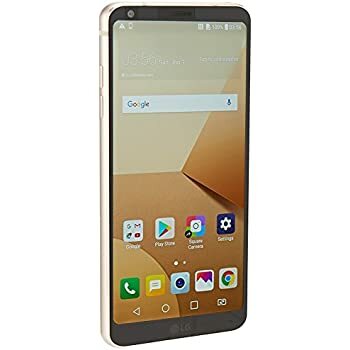 I also briefly tried a V10 and then used a V20 for a longer period of time and enjoyed the great headphone audio quality, big screen, and practicality of the design. But they were never phones anyone desired in the same way a Galaxy S or Note series phone or even an iPhone. They have always just been practical, sensible, reliable phones that work well and offer good value. 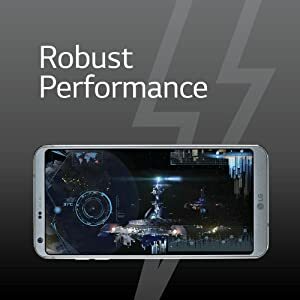 The just released G7 ThinQ follows in this tradition of being less exciting than the other flagships but, over time, likely aging well and offering good service to its users. 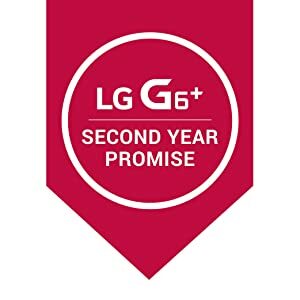 What does all this mean for the G6+? 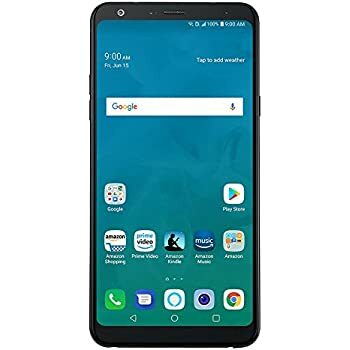 This is an interesting phone for people who would like to enjoy the Quad-DAC of the V-series or new G7 in a smaller, more affordable phone. I've been using it for a few days and think I will be happy with this phone for a year or two of heavy use. The battery is pretty much guaranteed to get me through a day. 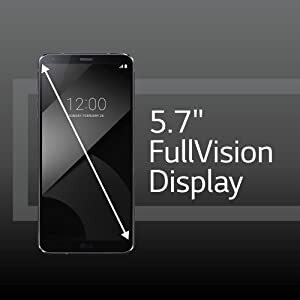 The screen is really nice and it does fit well in one hand as opposed to a 5.5" iPhone 8 Plus or other big screened phone with a 16:9 aspect ratio. The wide angle camera really is great fun at the beach, hikes, traveling... it's something no other phone offers. A free second year warranty is a nice bonus, as well. And the main reason to purchase the G6+ over the G6, the HiFi DAC, is the treat it is promised to be. If you have average to nice headphones and enjoy listening to music every day, this phone should be on your shortest short-list. If you wanted to pick nits, the speaker is easy to block. The indoor low-light camera struggles with oversharpening. LG's service department receives mixed reviews. I would also strongly recommend downloading Nova Launcher or another good Launcher from the Play Store quickly as LG's UX is not great. Also GBoard, the Google keyboard, seems much more accurate and attractive to me. With those two changes made the phone feels much better. When I hold the phone and consider all the facts in light of its price, this really is a 5-star proposition. 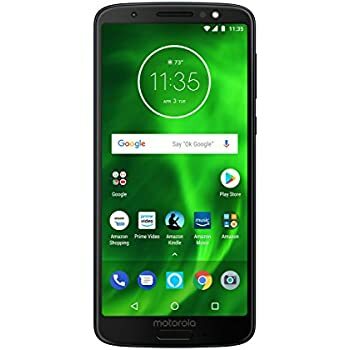 My son has been happily using a Moto G5 Plus for a year now. 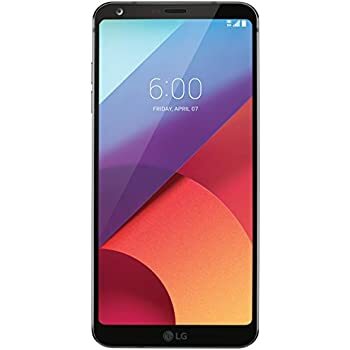 It's been reliable and good to him, but if I were considering purchasing a Prime exclusive phone today, the LG G-series handsets more than justify the price premium over the Motos. If you don't need the extra storage or HiFi-DAC, the standard G6 is a bargain. If you'd like those niceties, as I did, this is a unique and understated, underrated gem which will serve me and others well for years to come. Thanks! 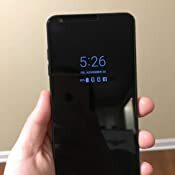 5.0 out of 5 starsThis is the best phone I've ever owned! This phone has it all. Simply put, it checked every item off my wish list. It's beautiful. It's fast. The pictures are beautiful. The sound is good, from onboard speakers. The sound is absolutely amazing on a good set of headphones. The display is gorgeous, and that's an understatement. The fingerprint sensor is fast and accurate. It's a phone.... I know right? So call quality.... That's amazing. Did I mention that's it's unlocked and memory is expandable from the internal 128gb.... I installed 256gb additional.... Why not? Everything I run, games... Whatever it is.... It runs as smooth as butter. Did I mention it has a headphone jack? The fast charger that's included is fast! Love that. What I love even more is the wireless charging. So convenient! There are so many things I love about this phone but the thing I love the most.... No Apple maps! LOL. 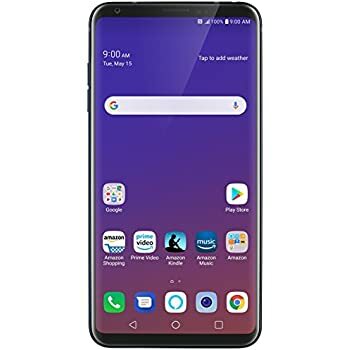 This phone.... Made it easy to switch to android from Apple, at half the price. This is my own personal iPhone assassin! 5.0 out of 5 starsA great value for the current market in cell phones.